Interest in celebrating Valentine’s Day has been on the decline for the past decade. Only 51 percent of Americans plan to buy a gift or celebrate this year. Despite the overall interest in the holiday slowly disappearing, Valentine’s Day spending is actually on the rise. Although it has lost its popularity, approximately 135 million Americans still plan to celebrate Valentine’s Day. Overall spending has decreased by 10 percent (from $30.3 billion to $30 billion), but much of that can be accounted for by the 4 percent decrease in folks celebrating. Those choosing to celebrate are spending more than in recent years. The average gift bought for this year’s romantic holiday will cost $162, up from $144 in 2018. Sixty-two percent of men expect to spend money on Valentine’s Day festivities or gifts this year. Only 45 percent of women expect to spend any money on holiday. Wives will get the most lavish gifts. On average, husbands expect to spend $357.96 on their wives for Valentine’s Day this year. Their wives, on the other hand, plan to only spend around $206.23. The same divide seems to exist between boyfriends and girlfriends as well. Guys and gals who are dating anticipate spending $231.55 and $105.02, respectively. Millennial pet parents are buying their pets Valentine’s Day gifts. A quarter of celebrants under 35 plans to purchase something for their pet. Cat people are likely to spend a bit more on average ($95.90) than dog lovers ($81.56). Younger consumers are more likely to spend more on their pets than older shoppers. People are spending more on themselves and gifting “me time.” Some people are taking time out for themselves on Valentine’s Day to have a spa day or meet up with friends. Those spending money on themselves this Valentine’s plan to spend $235. 56 on average. Other spending projections are as follows. In the past, studies have shown most women don’t actually want flowers. Many of us wind up storing our giant teddy bear away in a closet to collect dust. Around 43 million Americans will get an unwanted Valentine’s Day gift this year. Ultimately, approximately $9.5 billion will be spent on presents no one wants. 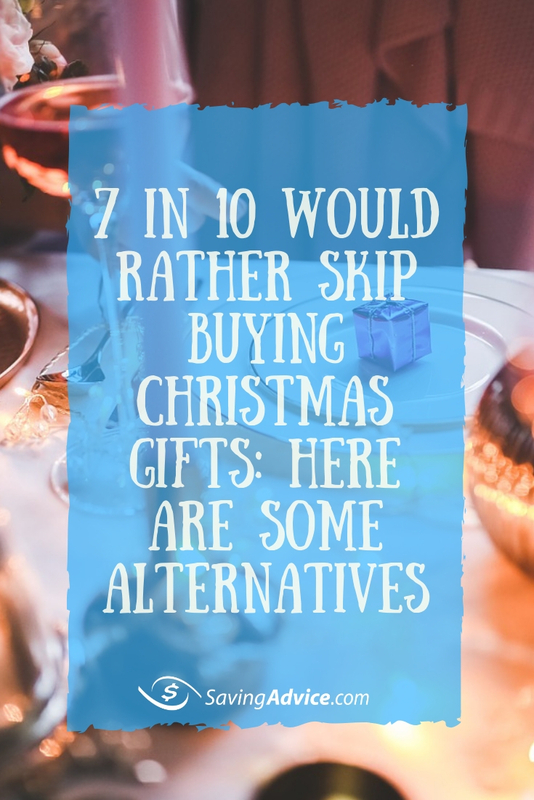 While that definitely seems like a waste of money, there are ways to ensure you’re getting a gift that will be well-received. You can do this by directly asking or investing your money into something you can do together. Money spent on an experience or a nice night is almost always appreciated. If you’re on a budget, the figures above probably made you crawl out of your skin. 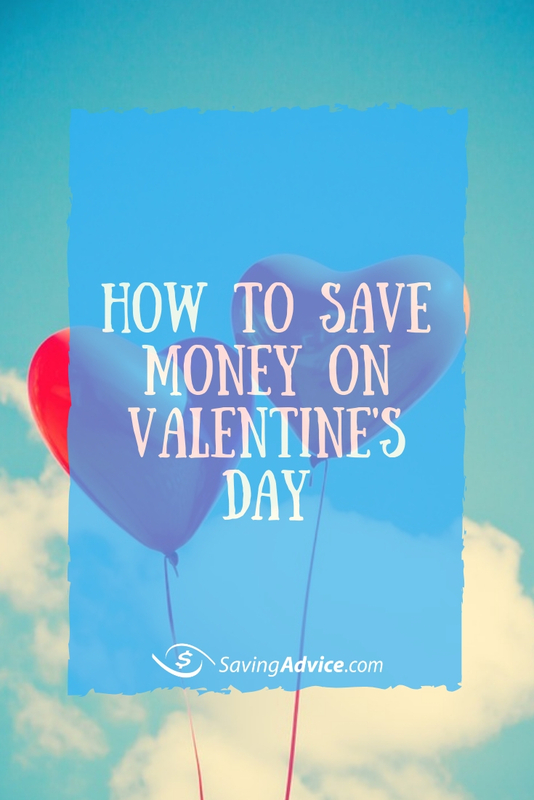 Even though the price of the average Valentine’s Day gift has increased, you don’t have to blow your budget to make sure your sweetie has a nice time. Consider one of the following cheap Valentine’s Day gifts. Pet parents can head to the dog park or cat cafe with their furry friends and enjoy the afternoon/evening together. Have a date at the local bookstore. You can usually get a good, cheap cup of coffee and dessert (and maybe you’ll even leave with a bargain book find). Take a drive listening to your favorite podcast to give you something to chat about. Pack a picnic-style dinner and head to the park. Create a “drive-in” movie experience. Bring your laptop out to the car with a movie and snacks. Hop in the backseat with your honey, sit the laptop in front of you, and watch your movie with your snacks. Get takeout and stay in. Pick a show to binge watch or a movie you’ve been wanting to see and pig out on your favorite takeout food. Put together some wine and cheese for a romantic evening. You can get reasonably priced wine, cheese, and deli meats at Costco. These are just a few ideas you may want to consider if your Valentine’s Day budget is tight. There are plenty of other great inexpensive Valentine’s Day date ideas out there. 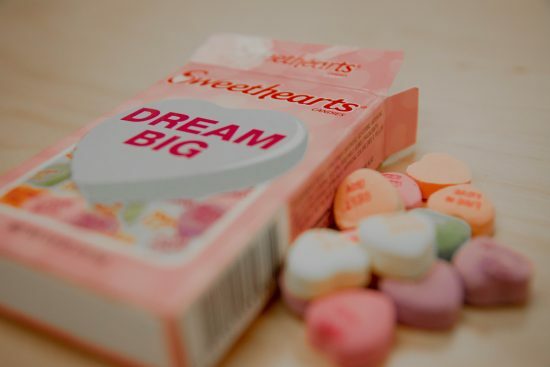 Readers, what do you plan to spend on Valentine’s Day this year, if anything? All in all, Americans are planning to cut back on holiday spending this year. About 50% of Americans say they’ll be spending the same amount they did last year, while 22% say they plan to spend less. Of that 22 %, about 34% say that other expenses are taking priority over buying gifts and other holiday-related purchases. Ten percent of Americans say they don’t plan on spending anything at all this holiday season. The COUNTRY Financial Security Index® took a survey weeks before Christmas to see how most Americans are feeling about their finances at this time of year. What they found is most people don’t feel all that financially secure heading into the holiday season. In fact, the survey found that only 23% of people are saving throughout the year for holiday spending. That’s right – less than a quarter are financially prepared for the holidays. What is interesting is that millennials are the most likely to plan ahead to be able to afford additional holiday expenses. A surprising 31% of people ages 18-34 save throughout the year for Christmas. Twenty-five percent of millennials planned to work more hours to lessen the financial burden of the holiday season. Another 9% got an extra job to cover holiday spending, 14% sell personal items, and about 8% accept money from family/friends to help. About 70% of Americans say their largest holiday expenditure will be on gifts. Other major costs like entertaining and travel expenses will only account for 9% and 8% of spending, respectively. Of the Americans headed out shopping this season, 70% have a specific budget in place. However, 20% say they don’t have a budget amount in mind. About 39% plan to spend less than $250 or no more than $500, while 17% of Americans plan to spend more than $1,000 during the holiday season. Budgeting and spending statistics vary by income level and age. The older you are, the more likely you are to spend more around the holidays. Folks ages 65+ plan to spend around $1,129 each. Younger Americans, between the ages of 18 and 34, plan to spend much less ($585). People with an income sitting around $75,000 and above also plan to spend around $1,082 while individuals with an income falling between $50,000 and $74,000 plan to spend $757 or less. Unsurprisingly, people with kids are more likely to spend more as well. Thirty-four percent of Americans are planning to spend most of their holiday budget on their kids. Women are most likely to say they will spend most of their holiday budget on their kids, while men are more likely to say they are spending the bulk of their Christmas cash on their significant other. Family members will account for another 19% of spending, significant others (16%), grandkids (13%), friends (3%), and pets (1%). Although many people are in the “treat yourself” mentality during the holiday season, only 7% of Americans will spend the most on themselves. It is always a good idea to have a holiday budget in mind to keep your finances on track throughout the season. 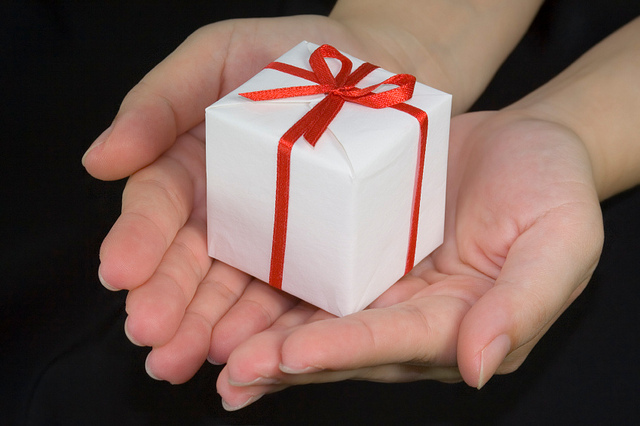 It is important to remember that it isn’t important how big or expensive the gift you give is. What is most important is the thought you put into it. Consider saving money throughout the year for large holidays and other major expenses. You should also set up a budget and write a list for each present you intend to buy. Don’t go into debt or break the bank celebrating Christmas! No matter how well we budget for the coming year, holidays always seem to sneak up on us. Think about how many special occasions require extra spending in just one year: birthdays, Valentine’s Day, Thanksgiving, the winter holidays including New Years, religious celebrations, or any weekend where you get together with family and friends. All of those fun times amount to a lot of holiday spending on everything from food, to decor, and of course, gifts. Yes, you were probably taught that it’s polite to bring a hostess gift and to always send birthday toys to all your nieces and nephews, but what feels like a polite gesture can also be a huge strain on your finances. This might lead you to think these customs are worth dipping into your emergency funds for. Even if you usually go all out with birthday gifts, and even if your friends are bringing expensive bottles of wine over to the holiday party, don’t feel obligated to do the same. Treat holidays like all other aspects of your budget during a recession: scaled back. On that note, some people are still tempted to go above-and-beyond for extra special holidays like Christmas or a child’s birthday. But before busting your budget on the newest game console or treadmill, consider whether this exciting item is really worth it. Some gifts, like the game console, continue to cost big bucks when your kids want the hottest new $50 games to go with it. And while “healthy” gifts like treadmills sound like worthwhile investments, their huge price tags are hardly worth the extra hours you’ll have to work to make the payments. A 20-minute jog a day is not worth that. 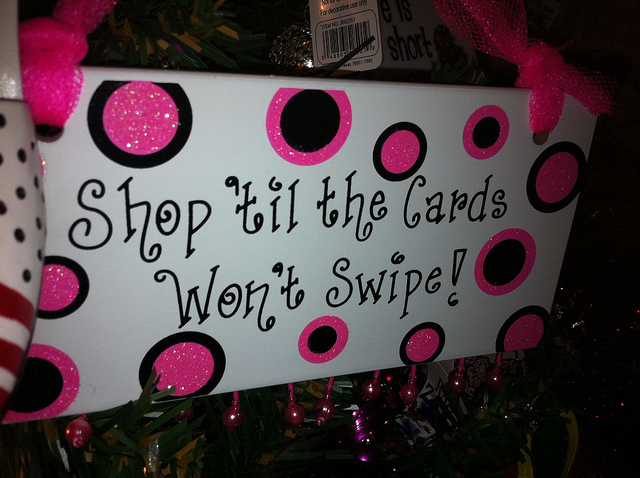 Now you’re thinking, Gifts and festive holiday expenditures are not that bad if I put them on a credit card, right? But this is yet another mistake consumers make during celebrations where they feel obligated to give and share with others. You might assume that adding just a couple hundred dollars to your credit card balance is worth providing the best Thanksgiving feast ever, or buying your loved one a surprise summer cruise; the reality is these purchases stack up and can leave you feeling overwhelmed with credit card debt that you are only making minimum payments on. When consumers recognize that all-year holiday spending is pulling them under, they might feel so deep in trouble that they will excuse little splurges. What’s a little more debt? they think, and this isn’t the right attitude for struggling through a personal financial crisis. It’s understandable why someone would want one last spending fling if they’re feeling depressed about being in debt during December or right before their friends take off on a costly getaway. You can turn down excursions you can’t afford, and you can keep your debt from getting worse by resisting the urge to splurge. Financial trouble is a private topic anyway, but being in debt can be even more embarrassing during the holidays when others are giving generously and holding expensive events. For this reason, some people try to act like nothing is wrong; they might even show up with an expensive gift or in expensive clothes anyway, in an attempt to cover up the problems. Don’t be this person. Instead, rely on the support of your family and friends during hard times, and trust that they will not judge you for turning down an invite or having no gifts. You are not immune to the problems a recession and personal crisis can bring. No one knows what tomorrow brings, and it could leave you wishing you’d paid rent before buying an unnecessary gift. 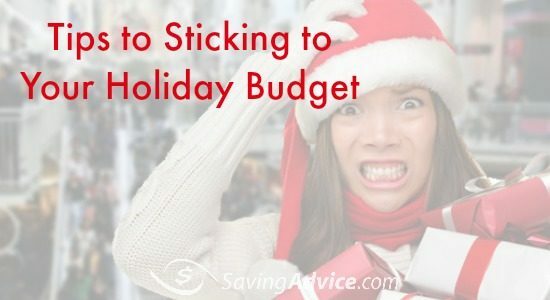 If for no other reason, don’t overdo holiday spending so that you’ll have more money to stow in a savings account instead. Wouldn’t you rather save for an emergency or an important family purchase than give away hundreds of dollars in gifts? Even those who aren’t in serious debt can get themselves closer to it by spending on frivolous things like holiday decor. Yes, it’s fine to budget for a Christmas tree or the haunted house you set up in your yard every Halloween, but the point is these enjoyable purchases are still accounted for in the budget. What you don’t need is hundreds of dollars — unaccounted for — going towards making the neighbors ooh and ahh. Even if you’re tasked with hosting a large holiday gathering, don’t gulp down the thousand dollar grocery bill just to impress. Ask friends and family to bring dishes or pitch in with cash. Many holidays also involve travel, whether it’s back to Grandma’s house for the holidays, or to a tropical destination during a long weekend. But in the frenzy to prepare for the holiday, it’s possible to breeze-over some crucial travel expenses. First, you might not have considered that travel is generally more expensive during holidays, and now you’re stuck with a hotel room you weren’t expecting to overpay for. It’s also easy to focus on the obvious expenses, like plane tickets, and forget the cost in gas it takes to get to the airport, or the cost of parking and a rental car. You also pay more for food and drink during vacation than you do at home. All these unnoticed little debit card swipes can add up to big problems. At the start of the year, many resolve to keep stellar track of their budgets. Monitored budgets help heads-of-households keep a grip on their everyday expenditures, and also anticipate other types of spending like the kind you do during holidays. But as life gets in the way, people let their budgets go unchecked. When they lose track of how much they’re spending versus how much they’re bringing in, it’s much easier to justify a holiday credit card purchase and then put it immediately out of mind. If you can see this happening to you, be sure to stay on top of your budget this year. The only thing worse than not being able to afford a gift or some other form of holiday cheer, is realizing this at the last minute. Now that you know the most common mistakes buyers make during holidays and celebrations, make a list of all the days worth celebrating in your life this year. Don’t be shy about making a long list of fun days to look forward to, but also admit to yourself that you can’t afford to spend extra money on all of these holidays. Be prepared for the most important (and most expensive) of these holidays by setting aside a savings fund for gifts, decor, food, and travel. Make 2012 the year that holidays are actually worth celebrating, not panicking over. Save Time and Money During the Holidays. Guaranteed. If you followed any of the Black Friday news this year, you know that many stores including Target, Wal-Mart, and Best Buy pushed their opening times to midnight on Black Friday. Some stores, like Toys R Us and my local outlet center pushed the opening even further back by opening at 9:00 p.m. on Thanksgiving Day. Of course, these stores were still beat out by K-Mart, which is open most of Thanksgiving Day and has been for a few years. This pushing of Black Friday into Thanksgiving caused a bit of controversy. Some people saw it as a good thing while others saw it as just another way that crass commercialism is taking over everything. I tend to fall into the latter camp. I hate to see national holidays turned into buying occasions. (I cringe at the Martin Luther King, President’s Day, Veteran’s Memorial Day, etc. sales bonanzas, too. Really? What is there about remembering our war dead or national heroes that has to be commemorated by buying a new coffee maker or boots?) In reading many message postings and news reports about this “new” Black Friday tradition, I kept seeing “experts” and consumers alike saying, in effect, that this is what consumers want. The thinking goes that people are bored on Thanksgiving after the turkey is eaten and the football is over and they want something to do. The stores are simply riding to the rescue, saving people from boredom! If this is even a little bit true, all I can think is how sad it is. On a national day of thanks the best thing people can come up with to alleviate boredom is to go shopping. Here’s my take. Instead of rushing out to shop when you’re bored, why not do some of those things you say you never have time for? Use your holiday time to do all the things you keep putting off. People constantly complain about having too much to do and not enough time during the holidays (and during the rest of the year, too). Rather than using shopping as a crutch, do some of the maintenance and odd jobs around the house you’ve been putting off. Go out and play with the kids or get everyone together for a movie or game night. Spend some quality time with your kids that gets neglected during the work week. Work on some of the hobbies you claim you never have time for. Put up your Christmas decorations. Clean out that closet that’s overflowing and donate some of it to worthy organizations. Just sit down and read that book that you’ve been meaning to get to. If all you can think of to do when you’re bored is to shop, you’ve got no reason to complain when you don’t have time to do anything else. If you use the time you would have spent shopping to do other things you’ll have a less stressful holiday because you won’t be trying to cram your shopping in with everything else. And you’ll save money. Guaranteed. Instead of wandering the stores buying cheap imported crap that will be broken or obsolete within a year, just stay home and do something productive. Nothing saves money more than leaving your wallet on the dresser while you go out and rake some leaves or play football with the kids. 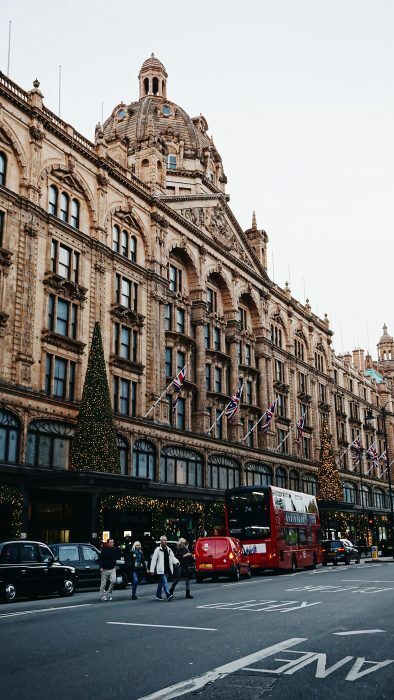 If you really want to save money and time this holiday season, just say, “No.” Just walk away from the mall and use the time and money you gain to do all of the other important things you never get around to doing. If you feel like you’re getting bored and that hitting the sales will somehow cure that boredom, find another cure. (This also applies to time spent mindlessly surfing the Internet, checking for deals.) Sure, shopping is part of the holiday season, but the mindless trekking from store to store all day long “just to see what’s out there” is a waste of time. You could spend that time doing much more meaningful, fun, and important things. Of course, if you really want to alleviate your boredom this holiday season and do something worthwhile, volunteer to work at a soup kitchen serving meals to the homeless. Volunteer with an organization that collects and distributes toys to less fortunate kids. Find something meaningful to do with your time rather than wandering the mall. There’s nothing like spending time among the less fortunate to remind you how good you already have it and how you really don’t need to buy any more stuff.